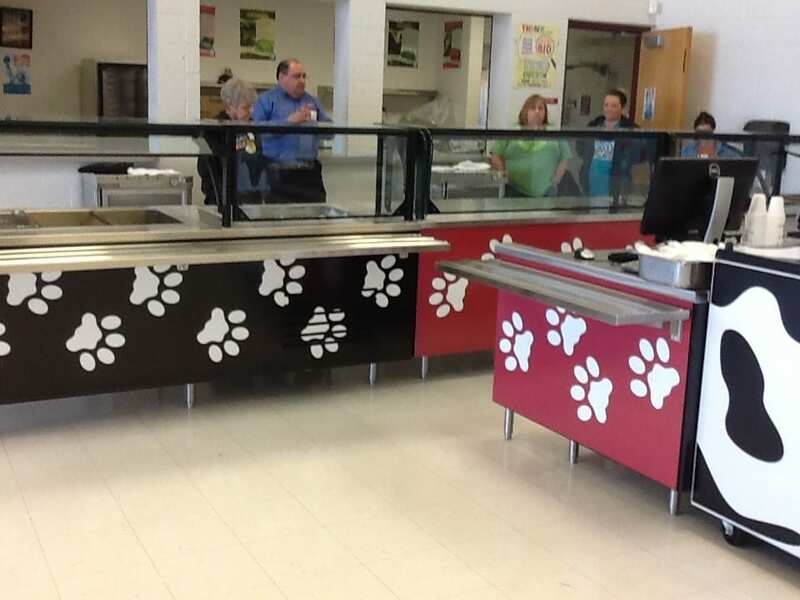 Skiatook Middle Schools were looking for a serving lineup that would provide eye-catching appeal using the school colors and highlighting its mascot. 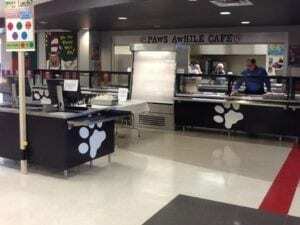 Skiatook Middle Schools needed to replace the tired and outdated serving line with an added goal of increasing lunch participation through a design that would manage the newly mandated meal guidelines. 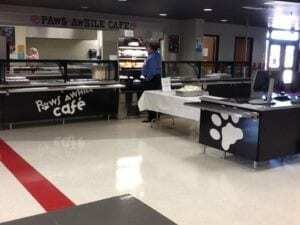 Skiatook Middle Schools were looking for a serving lineup that would provide eye-catching appeal using the school colors and highlighting its mascot. 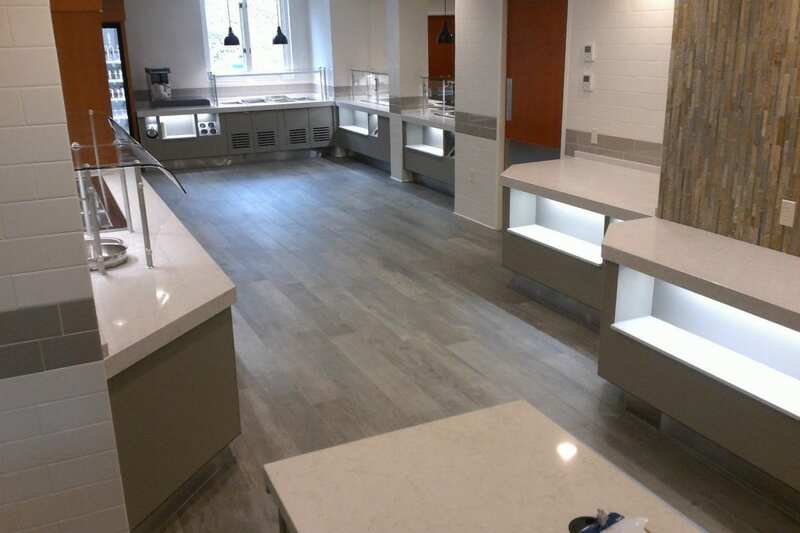 Diana Boggs, food service director, wanted to incorporate Alto-Shaam dry well drop-ins in order to streamline the mess and labor required to upkeep standard wells that require water usage and drains. 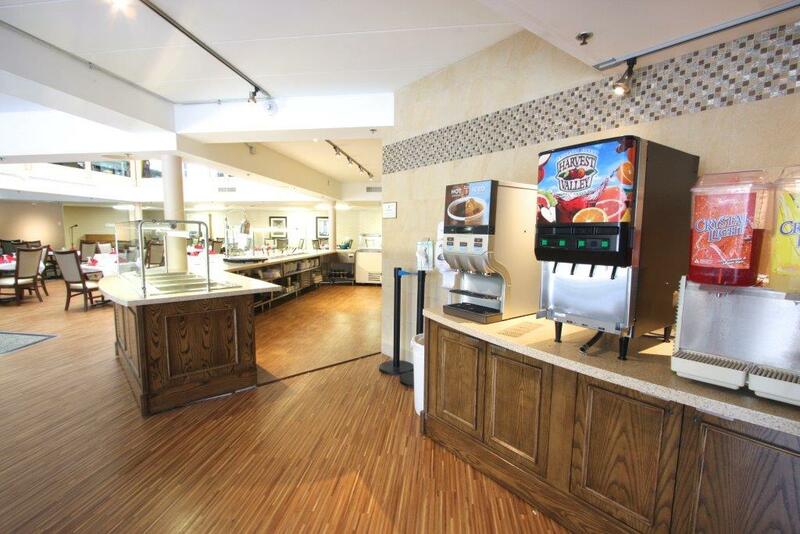 Multiteria’s Essence Series provided the flexibility, durability, and aesthetic appeal the food service director desired. 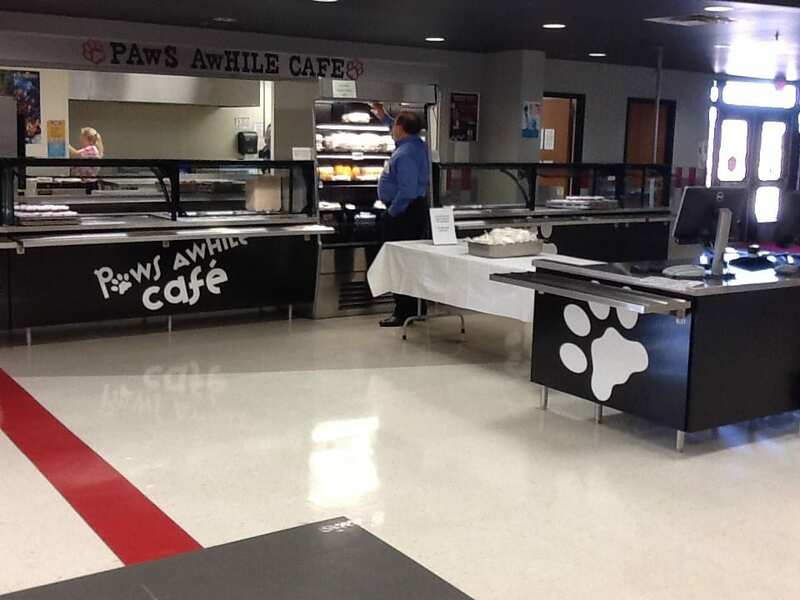 The new serving line installed in both schools features stainless steel tray slides and black convertible powder coated sneeze guards. 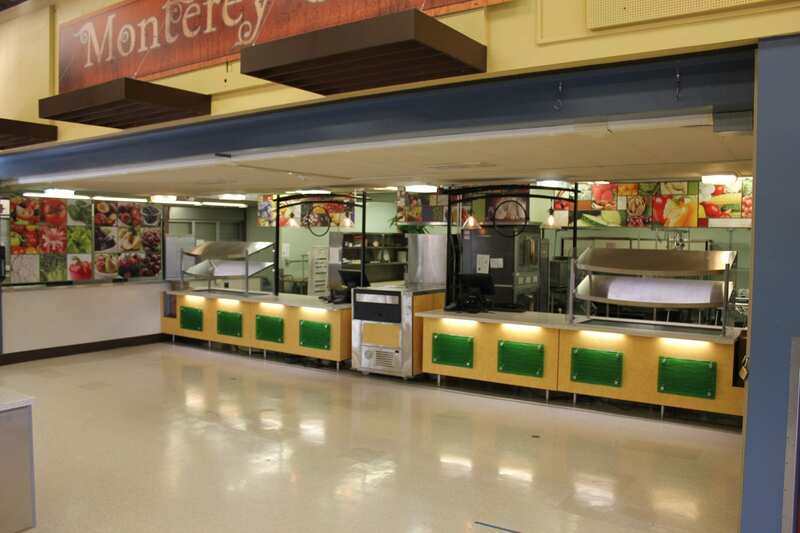 The convertible food shields fit perfectly with the menu plans of setting up a self-serve option of cold menu items on one day, and operator service for hot food items through a pass-through on other days. 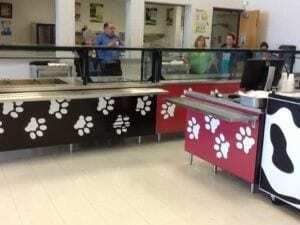 The laminate panels, outfitted with high resolution black/red vinyl graphics with paw print design, tied into the school colors and reflected the school’s mascot, creating an exciting vibrant environment for students and administration. The process of ordering and implementation of my new serving lines at Newman Middle School and SIE Intermediate School went very smoothly. I was extremely pleased with the process in working with Roz of Forbes Hever & Wallace and with Reza of Curtis Restaurant Supply. They were both awesome, Curtis was on top of the scope of the project and when I had any questions, responded immediately. Roz was also instrumental in the process and took care of all the details so that everything went smoothly. 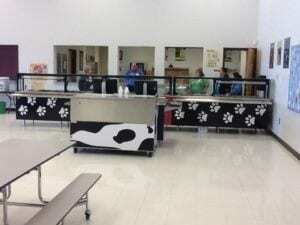 The end result was amazing, the students were happy and the installation changed the whole atmosphere and presentation of the cafeteria. 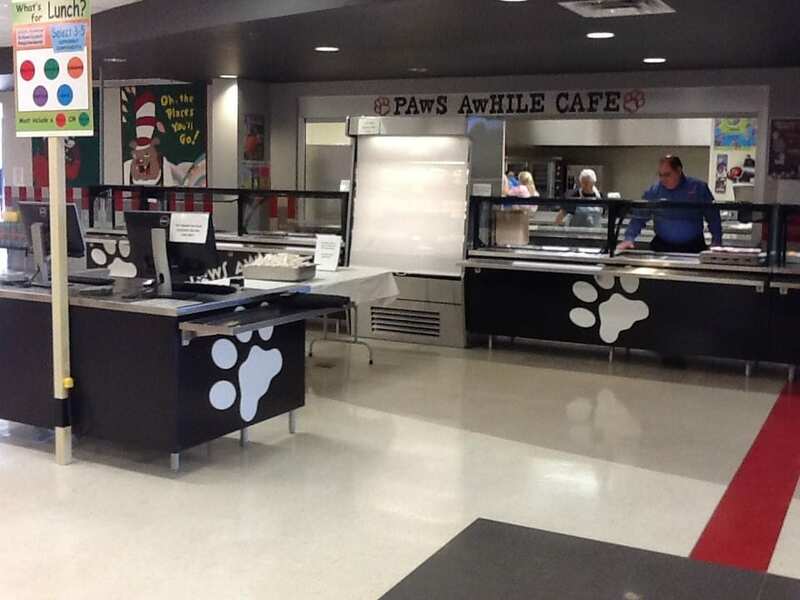 Multiteria was able to incorporate the school theme of Paws Awhile Cafe into the design by outfitting the front counters with high resolution vinyl images of paw prints. 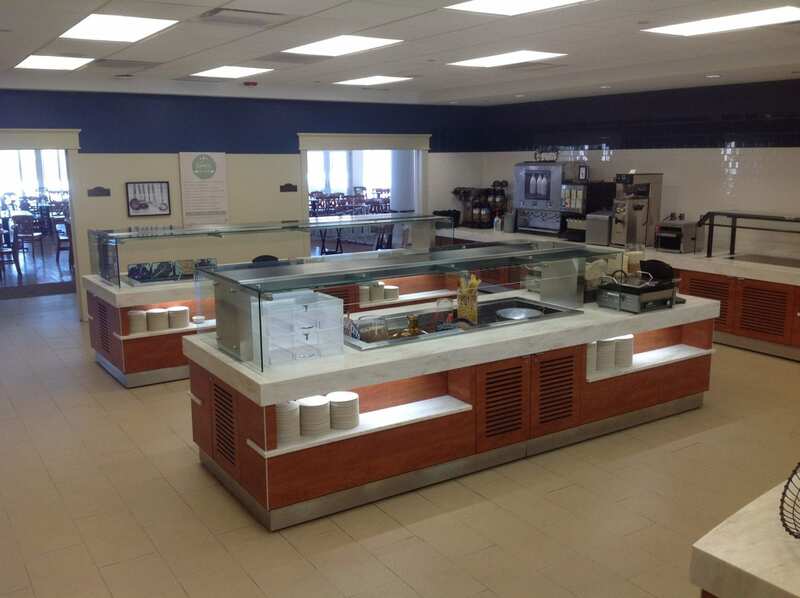 The functionality of the steam tables worked very well in conjunction with the service to service food shields for menu flexibility.